Are you suffering from sneezing, runny nose, and congestion? If so it could be allergies or a cold, but how do you tell which is which? Our cold-vs.-allergies explanation sets you straight. When it comes to the common cold vs. allergies, symptoms can overlap, leading to confusion. Ah-ah-ah-CHOO! You’re sneezing again. It’s that time of year when every other person seems to have the sniffles—nasal congestion, a runny nose, and frequent sneezing. These common symptoms most often are caused by two conditions that can be difficult to tell apart: allergies and the common cold. When it comes to treating symptoms, however, it’s helpful to determine the cause. Here, we discuss cold vs. allergies, along the way helping you to figure out the cause of your symptoms. Note: Allergy symptoms, in this article, refer to seasonal allergies or allergic rhinitis (allergy affecting the nose), rather than general or skin allergies. Common cold symptoms include nasal congestion, sneezing, runny or stuffy nose, sometimes a sore throat, cough, headache, and body aches. Infants and young children are more likely than adults and teens to develop a fever. Timing: Cold can occur year round with a peak in winter and spring. Duration. The incubation period is about three days, and most symptoms last up to a week. Infants, young children, the elderly, and smokers tend to experience more severe symptoms that may last up to two weeks. Nasal discharge may be green or yellow and may become thick. Allergy symptoms include nasal congestion, sneezing, loss of smell, and itchy and runny nose, eyes, or mouth. In children, the “the allergic salute” is common: The child frequently pushes his nose up with the palms of their hands to wipe away discharge or relieve itchiness. If exposure to the allergen is prolonged, cough, blocked ears, sore throat, dark circles, or puffiness below the eyes, fatigue and headache may occur. 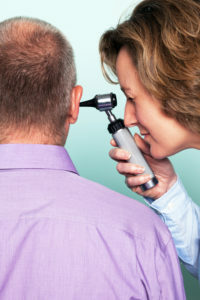 Symptoms usually present quickly after exposure to an allergen, but the person may be unaware that he has been exposed. Severe allergy warrants urgent medical attention. Symptoms include flushing or swelling of skin, throat or mouth, cough, wheeze, shortness of breath, dizziness, palpitations, trouble swallowing, and blurred vision. Timing. Allergies are most common in the spring, summer, or fall. They may be associated with the appearance of a certain pollen or mold and may recur at the same time every year. Seasonal allergies often present first around the age of 5 but sometimes much later in life. Duration. Allergy symptoms usually last weeks, or as long as the person is exposed to the allergen. Nasal discharge tends to be clear and thin, but it can also become thicker and take on a green or yellow hue. The Centers for Disease Control and Prevention estimates that in the U.S., there are more than 1 billion colds each year. Most adults suffer from two to three colds each year, children even more. The common cold is contagious, meaning that it’s spread from person to person usually by inhaling infected droplets (via a sneeze or cough) or from touching an infected surface, such as a door handle. The term “allergen” refers to something that triggers the release of the chemical histamine into the body, leading to an allergic reaction. Common allergens include airborne pollens from grass (hay fever), flowers, trees, and weeds, dust mites, animal dander or saliva (from furry pets), mold and foods (most common are peanuts, tree nuts, milk, and eggs). Pollen counts tend to be higher on hot, dry, windy days. Hay fever and allergies often run in families. Regularly wash your hands often with soap and water, for at least 20 seconds; alternatively, use an alcohol-based sanitizer. Don’t touch your eyes, nose, and mouth with unwashed hands. whenever possible, stay away from people who are sick. Conversely, if you have a nasty cold, take a day off to prevent passing it onto other people, especially those who might be more vulnerable. Avoid shaking hands, kissing, and hugging if you suspect you or the other person have a cold. If you feel a cough or sneeze coming on try and cover your nose with the crook of your elbow or second best with a disposable tissue. Disinfect frequently touched surfaces, and objects such as toys and doorknobs and change communal towels regularly. For more information on common colds, see our article Common Cold and Flu Prevention: Tips to Keep You Healthy. Allergies: It may be possible to reduce or prevent exposure to allergens. For example, if you have hay fever and the pollen count is high, stay indoors and keep the windows closed as much as possible. Common cold: Diagnosis is usually made based on symptoms and sign,s and perhaps a history of exposure to people with a cold. Tests are only needed if a secondary infection is suspected, such as pneumonia. Allergies: If you’re uncertain about what’s triggering your allergy, your doctor may request “skin testing” or an IgE RAST blood test. A routine complete blood count (CBC) may show raised levels of a white blood cell called eosinophils. Rest and sleep as much as you are able. Smokers should cut back on cigarette consumption. Cough lozenges and throat sprays may give you temporary relief. Try inhaling steam or humidifying the room if the air is dry. Over-the-counter cold remedies include acetaminophen or non-steroidal anti-inflammatory drug (NSAID) based drugs, plus a decongestant. 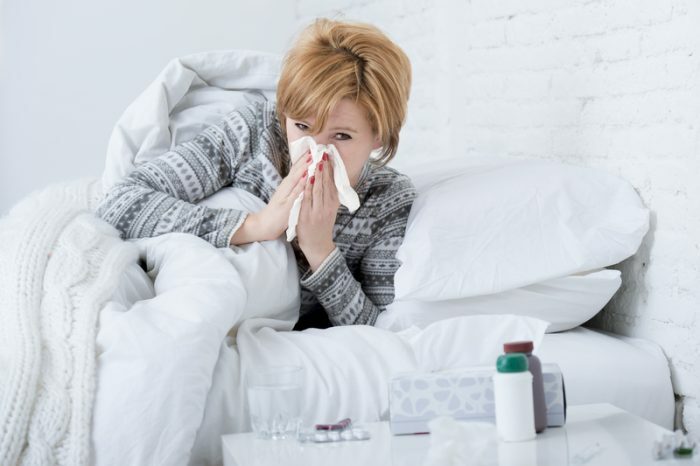 According to the National Center for Complementary and Integrative Health (NCCIH), zinc lozenges, echinacea, buckwheat honey, vitamin C, nasal saline irrigation, and geranium extract may help either to shorten the course of a cold or to reduce symptoms. These remedies will however not prevent or cure a cold. Allergies: The treatment of allergies involves reducing exposure to the allergen where possible, and to use saline nasal wash, medications, and, in severe cases, allergy shots. Medications include the following. (Please note: Always read the label on medicines, paying special attention to age, dosage, drug interactions and contraindications—who should not take them. Antihistamines, taken orally, are available as over-the-counter products. Learn more in our article Antihistamines: Uses, Types, and Side Effects of a Popular Allergy Medication. Nasal sprays are also available. Corticosteroids in the form of nasal corticosteroid sprays can be effective for allergic rhinitis. Some are available over-the-counter, some by prescription. If your allergy is severe, steroids can be given orally or by injection. Decongestants like pseudoephedrine (Sudafed) may be helpful for reducing congestion, but should not be used for more than three days. Eye drops can provide relief for itchy watery eyes. Leukotriene inhibitors are a newer class of medication used in the treatment of allergies and asthma. Examples include zafirlukast (Accolate) and montelukast (Singulair). Allergy shots (immunotherapy) are sometimes recommended for people with severe or chronic allergies. aches and pains, alcohol, allergen, allergic reaction, allergic rhinitis, allergies, allergy, allergy shots, allergy symptoms, anti inflammatory, asthma, children, cold and flu, common cold, corticosteroids, dizziness, ears, echinacea, eye drops, flu, food, hay fever, health, histamine, honey, immunotherapy, infection, integrative, integrative health, loss of smell, milk, mold, nasal congestion, nasal discharge, nuts, pains, pneumonia, rhinitis, runny nose, seasonal allergies, shortness of breath, side effects, skin, sleep, sore throat, stuffy nose, treatment of allergies, trouble swallowing, virus, vitamin, vitamin c, zinc. I thought you might be interested in this article on https://universityhealthnews.com: Cold vs. Allergies: What’s the Difference?